SNOOPY is Charlie Brown’s pet dog in the comic strip Peanuts by Charles M. Schulz. He can also be found in Charlie Brown movies and television, like The Peanuts Movie. The original drawings of Snoopy were inspired by Spike, one of Schulz’s childhood dogs. 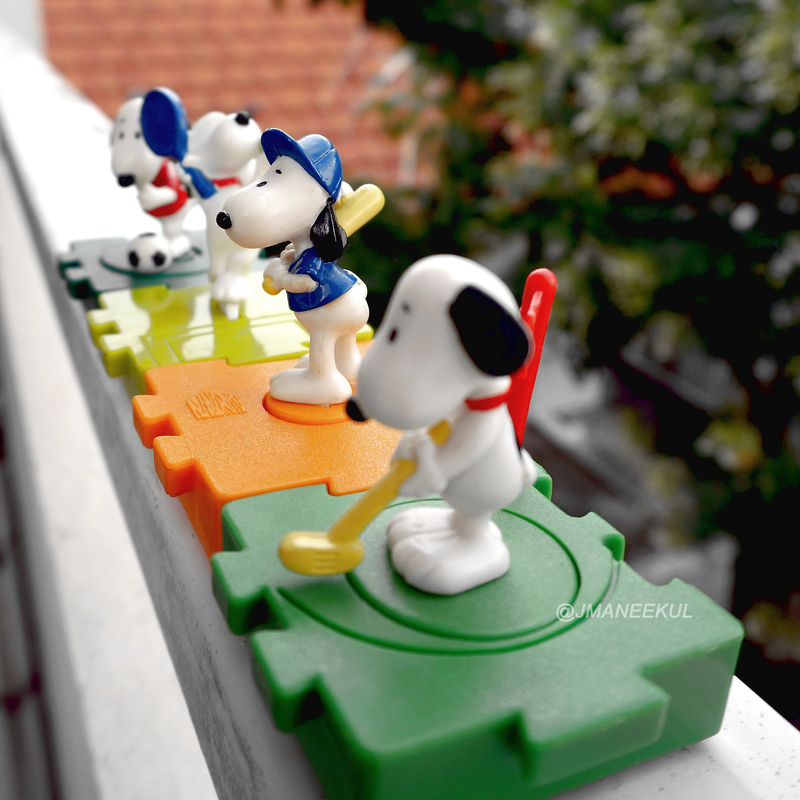 The first Mcdonald’s Snoopy set has released in Thailand in 1997.They are Snoopy All Stars set. 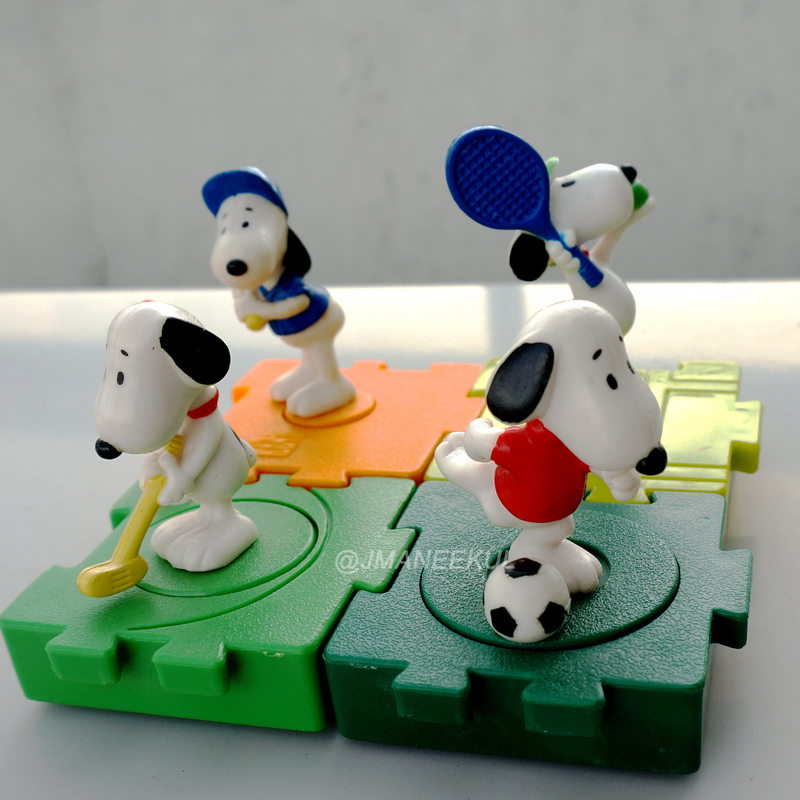 4 toys with Snoopy play sport on the top,they can connect together like jigsaw. 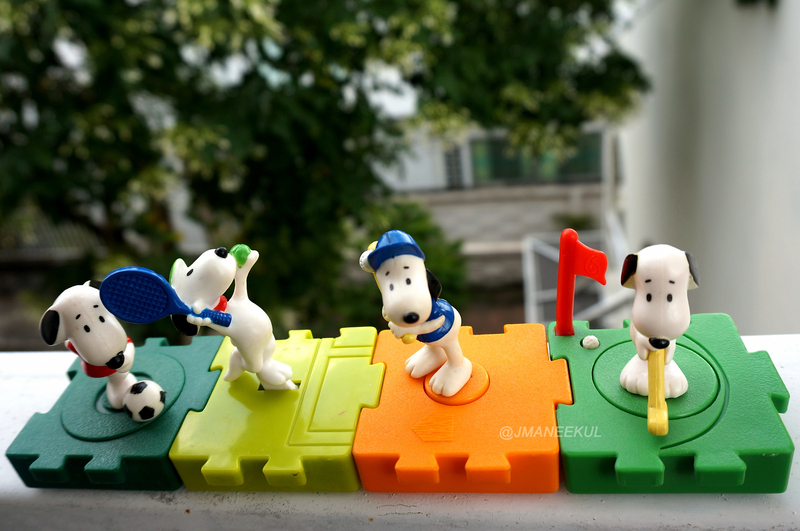 This includes Snoopy standing on top with wheels on the base , Snoopy move would show the sport to watch. 1.BASEBALL : on orange base when Snoopy is shifting base to strike a baseball bat. 2.TENNIS : on a green light when Snoopy was shifting base to serve a tennis ball. 3.GOLF : on a medium green when Snoopy was shifted base to hit golf balls into the pit. 4.SOCCER : on the green to move the ball when it comes to swirl.